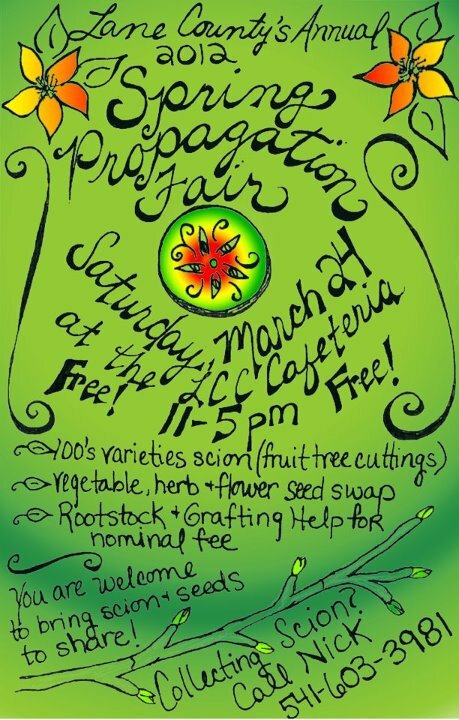 The 2012 Annual Spring Propagation Fair is a free event, open to the public, and is designed to support home orchardists, vegetable gardeners and native plant enthusiasts in and around the S. Willamette Valley. 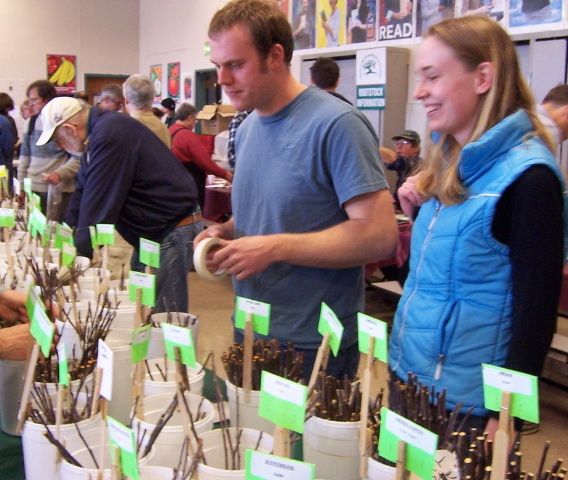 We are focusing on a genetically diverse array of apples, pears and grapes that have proven adaptability to our growing region, disease resistance, and have unique characteristics for culinary use, storage, etc. Ask questions of experienced local gardeners and a broad array of our bioregion’s foremost gardening education non-profits. Hear expert speakers throughout the day. "Having fun deliberating over which scions to choose from a treasure chest of fruit varieties."